I keep a running list of restaurant that I want to try on my phone and Bar Primi has been on there for a long time. I'm not sure why it took us so long to finally stop by considering, I pass it quite often on especially when riding the bus home. 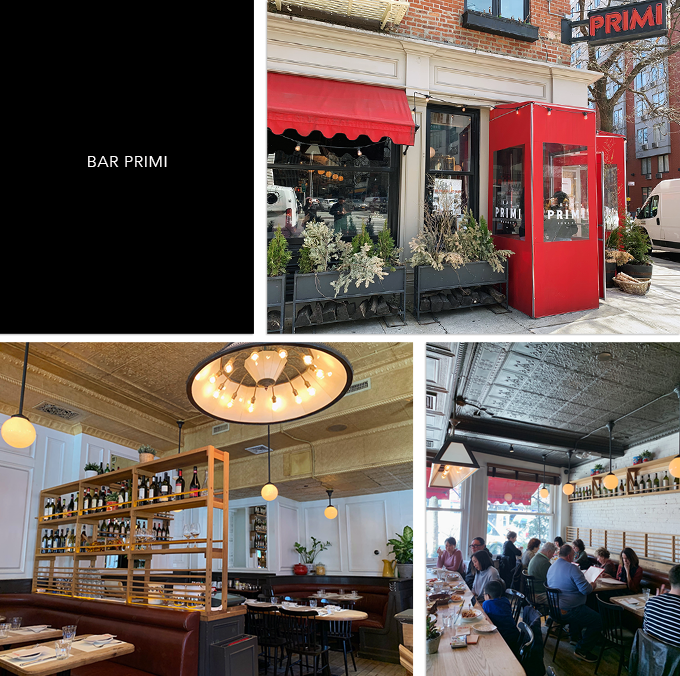 The Noho eatery from Andrew Carmellini, located on the corner of the Bowery and Joey Ramone Place gets its name from ‘primi piatti,’ which translates to the "pasta course". Occupying two floors, the restaurant has a rustic and homey vibe. There is a full bar on the ground level dining room with ample seating throughout. We were seated on the second story which was definitely preferable due to the slightly more generous spacing. Pasta does feature prominently on their menu alongside sharable plates of antipasti, artisanal cheese and a range of homestyle Italian-American specialties. The traditional style pasta here is made fresh and cooked to order. To start, we ordered the kale insalata roasted garlic, apples, walnuts and stuffed meatballs. The tartness and lightness of the salad was a nice complement to the juicy meatballs that had a cheesy center and a tangy sweet tomato sauce. We dined there for Sunday brunch because I wanted to try their breakfast spaghetti. Made with kale, pancetta, poached egg, this dish was well balanced in taste and texture. The toothsomely al dente pasta was perfectly cooked. We did something we don't usually do and also got a homemade donut (cannoli bomboloni) which was topped with a light cream, pistachios and berries and served with a nutella sauce. The doughnut on it's own was crispy, light, fluffy and refreshingly unsweet like American doughnuts. We enjoyed everything and left there full and happy. The ambiance was welcoming and the service was affable and attentive. It was like they always knew when we needed something. My only complaint would be that the sound level was a little loud. Some people might find their portions on the small side but it was good for us. The prices are on the higher end but we didn't mind since the food was really tasty. We would go back for dinner when the weather warms up. I've heard their lamb chops are really good. Check out my other restaurant reviews! The lucky winner of my recent book giveaway is Ashley B. Congratulations! I have an exciting new giveaway for a fancy beauty gadget coming soon so stay tuned. 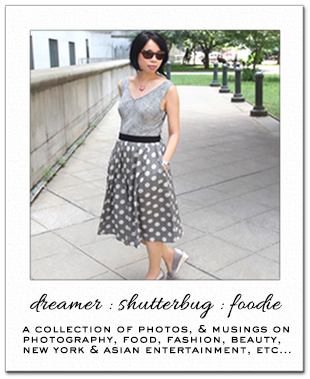 I am a huge fan of Italian cuisine, and the pictures look delicious. I tend to prefer quieter dining spaces too, but if the food is that good, it is probably worth it. Love that donut! Desserts are my favorite part of any meal. We like Bar Primi! We had dinner there once and were quite happy. Been meaning to go back to try their brunch menu, so your review is a nice assurance. Italian is still my fave cusine apart from Asian varieties although we've been going to many Mediterranean restaurants lately. Lovely restaurant review. Bar Levi looks like a great place to eat. I don't mind the smaller portions, in fact I find the large ones excessive. Smaller portions are much more reasonable and environmentally friendly, as a lot of food gets wasted because of massive restaurant portions. So this is actually a plus in my book. i love pasta and i am always curious to try it in every delicious restaurant ! i like that it was perfectly cooked! too bad that the noise was loud at the restaurant! i am not a huge fan of this! I'm loving the rustic vibes of this restaurant and how yummy do all these pasta dishes look! The breakfast spaghetti sounds incredible, I feel like a poached egg makes every dish better! Will add this to the list of restaurants to visit when I'm in NYC! All the food looks delicious, especially the meatballs! Bar Primi looks a great place to have a meal! Also congrats to the giveaway winner! Those photos alone have me drooling. And the donut sounds delicious too. I am not a fan of American style donuts like Krispy Kreme. I agree, far too sickly sweet for me. I love great Italian food as well! 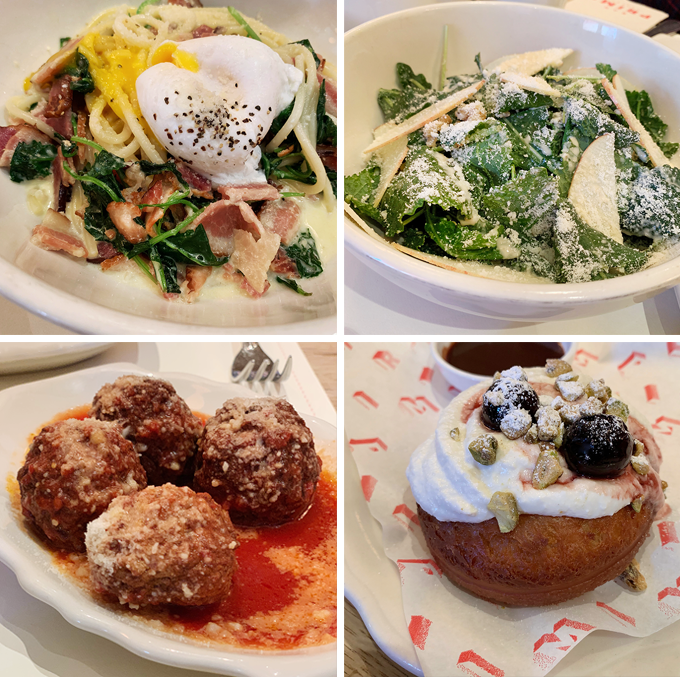 Everything sounds wonderful from the kale insulate to the bombolini. I don't get usually get dessert either, but you can't resist sometimes right? Yay I can comment now!